From the elegant cities of Kraków and Zamość to forward-looking Warsaw and Łódź, Poland is home to a surprising variety of places, cultures and landscapes. Head beyond its historic towns and cities to discover primeval forests, epic mountain ranges, picturesque villages and pristine beaches along the Baltic Coast. With insider tips on where to sample the best vodka and pierogi, this truly updated Rough Guide provides all the advice and information you need to make the most out of your trip. 4. European Solidarity Centre Gdańsk. 9. Polin Museum of the History of Polish, Jews, Warsaw. 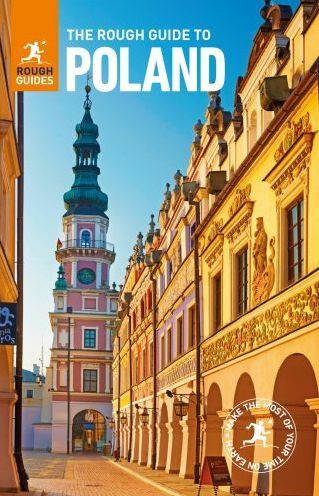 Inside the Rough Guide to Poland. – Things not to miss – Rough Guides’ rundown of Poland’s best sights and experiences. 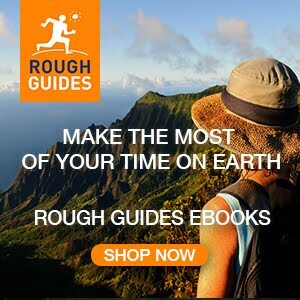 -Detailed regional coverage – whether off the beaten track or in more mainstream tourist destinations, this travel guide has in-depth practical advice for every step of the way. Areas covered include: Warsaw, Mazovia and Lodz, the Bay of Gdansk and the Wisla Delta, Torun, Mazuria and Podlasie, Lublin, Zamosc, the Polish Carpathians, Krakow and Malopolska, the Tatras and the Pieniny, Upper Silesia, Wroclaw and Lower Silesia, Wielkopolska, Pomerania. Attractions include: the Mazurian Lakes; wooden churches near Zakopane; Auschwitz-Birkenau; Malbork Castle; Kazimierz Dolny; Slowinski national park; Wieliczka Salt Mine; Bialowieza national park; Bieszczady national park; Rynek Glowny, Krakow, and much more. -Basics – essential pre-departure practical information including getting there, local transport, accommodation, food and drink, health, the media, festivals, sports and outdoor activities and more. – Background information – a Contexts chapter devoted to history, books, music and film, plus a handy language section and glossary.